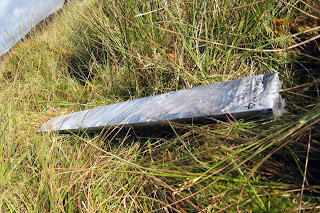 We went back to Red Loch on the 7th October to take a new core from the Red Loch site that would hopefully allow us to overlap our results from the previous work and provide more material for pollen study. 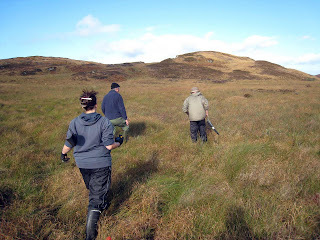 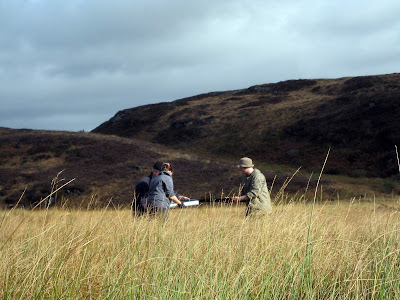 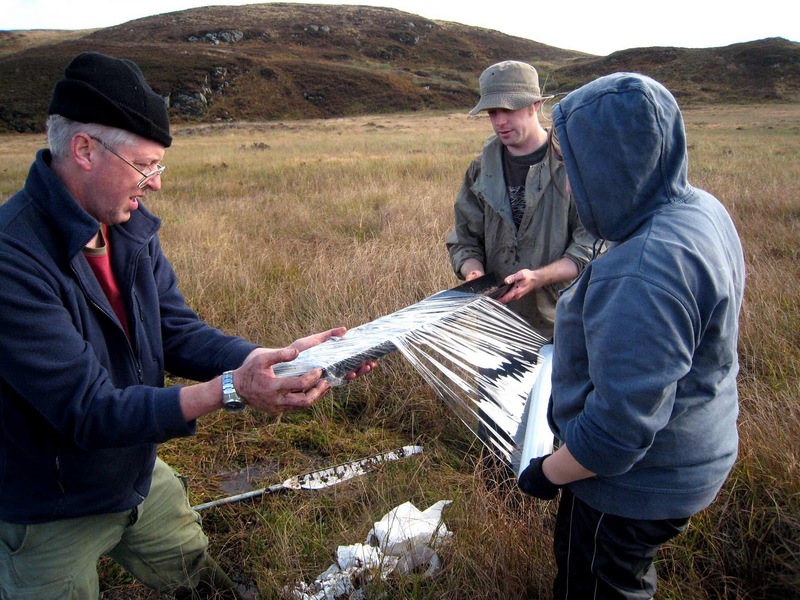 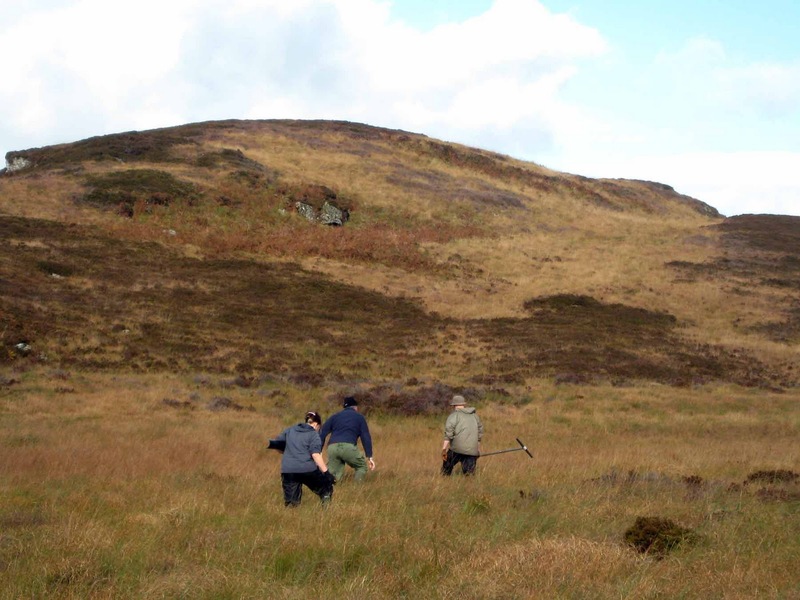 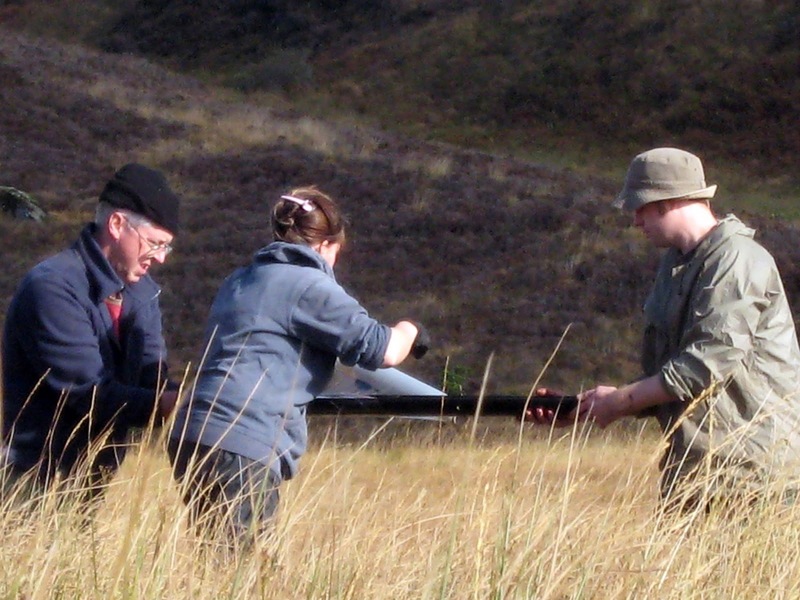 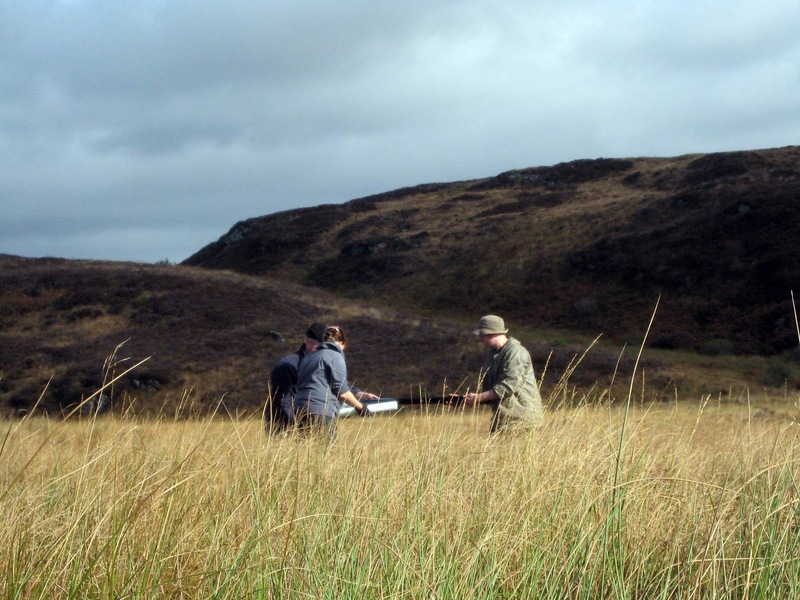 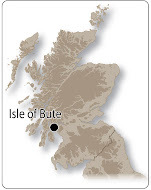 We were helped out on our fieldwork by volunteers who again braved the long trek to the site. 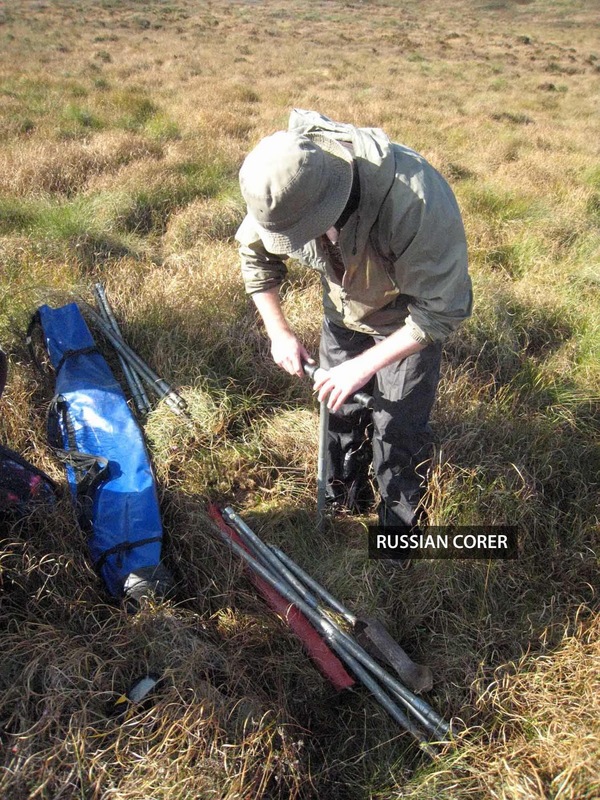 Special thanks to Mr Gary Edmondson and Mr Paul Madden who not only completed the climb but also braved the wet bog in order to take a pollen core. 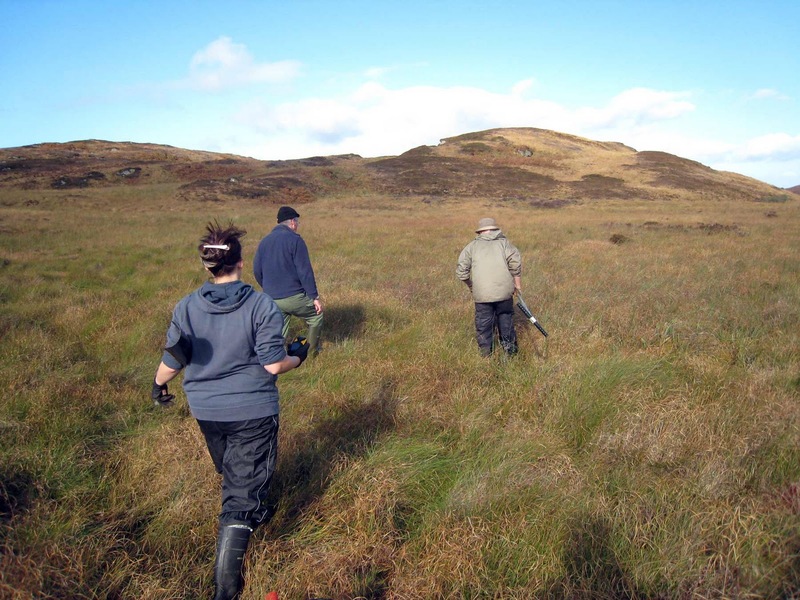 Thanks to everyone’s efforts we were able to come away with a 7.5m peat from the bog at Red Loch, which gave us an additional 2m from the previous year. 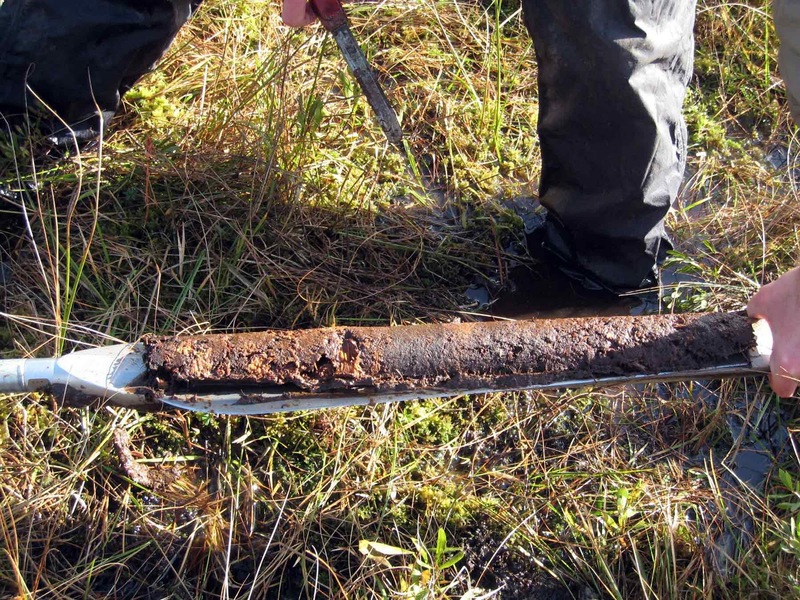 We took the samples using a Russian corer, which traps 0.5m of peat in a central chamber allowing us to push down and then bring up this amount of peat at a time. The peat samples are then transferred into plastic guttering (cut to 1m in length) ready to be transported back to the lab for sub-sampling.